Beautiful, upscale downtown LOFT with over 1400 sq. ft. located in the heart of the loft district! 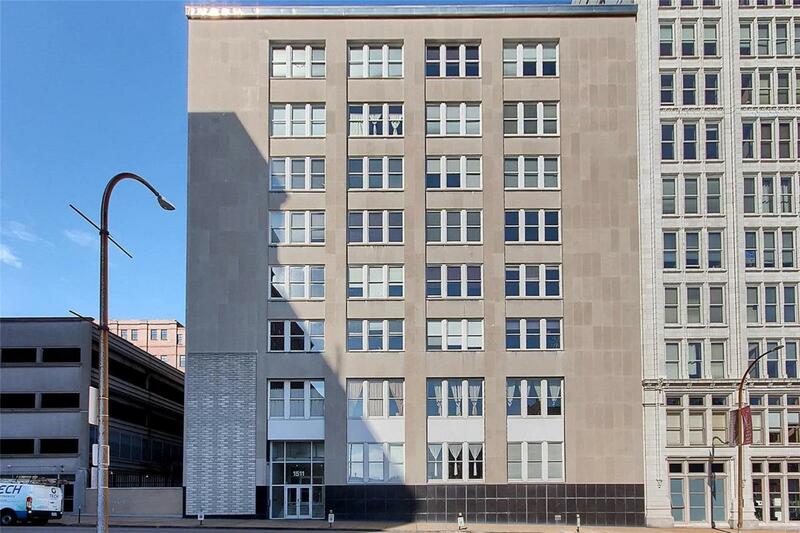 This modern loft has concrete floors, tall ceilings, power window shades with remote and the BEST south facing view! The AWESOME kitchen features 42' cabinets, a large ISLAND, granite countertops, under cabinet lighting and updated appliances! There are 2 bedrooms and 2 full bathrooms in this modern unit! The master features ceramic tile flooring, a sunken tub and a walk-in closet! Building amenities include a new fitness room, pool table, party lounge, and more! There are 2 full and separate bedrooms with tons of space for a guest or office! This location is seconds from Washington Avenue with none of the street noise! This unit includes 1 parking spot in a gated, covered, secure and attached parking garage. The Master bedroom offers a second great view with tons of natural light! Walk to all downtown attractions!